Second only to a crash helmet, motorcycling boots are one of the most important pieces of riding equipment you can buy. 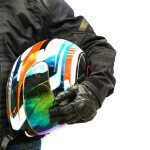 Like many other items of motorcycling clothing or accessories there is a mountain of choice available and prices can vary wildly. We will be reviewing some of the best cheap motorbike boots on the market and will also take a look at some higher specced boots which offer greater protection. As always on Begin we will be looking at boots that offer decent value at a decent price. Remember though, cheap doesn’t always equal value, so if you can push the budget, it may be worth paying a bit more for a boot that offers better all round quality and will last longer. Click here to go straight to the reviews. These Alpinestars boots offer the best protection, comfort and waterproofing on our test. Unsurprisingly they are also the most expensive. If you can push the budget these boots won’t let you down, and should give many years of quality wear. The Richa Zenith boots offer a great compromise between quality and price. They can’t offer the weather proofing or protection of the Alpinestars but at this price level they will be hard to beat. Motorcycle boots may be high, short, waterproof, light, heavy, rigid, flexible, cheap, expensive, fashionable or chunky like a workman’s boot. Lets dive in and have a look at what you should be thinking about before making your choice. Motorcycle boots are mostly made of leather but may have additional tough plastic, steel or Kevlar protective layers or include Gore-Tex lining. Many boots have externally attached protective components like heel reinforcements or toe-sliders. Low profile ankle boots allow a rider more flexibility to move around and are better for walking. My personal preference is for very tough high boots for maximum protection and if I need to go walking I’ll simply store a pair of shoes or trainers in my panniers. High boots protect the shin and also shield the rider from the heat of the bike. Lace-up fasteners generally suggests a softer boot front and allows for a greater air-flow. Lace-up boots can also be supported by zips and Velcro to help when putting them on and removing them. Snap-buckle fasteners are more common with the high off-road boots typically worn in motocross. The harder and chunkier the sole then the more protection a rider gets. The price to pay is less control when operating the gear shift and the rear brake pedal. But how much dexterity do you actually need? They’re not tricky little buttons or switches. My own boot soles are very thick and pose no problems for operating these controls. The process of manufacturing a motorcycle boot is long and methodical as the multiple layers are added and assembled. Usually the process is a combination of precision stitching and highly advanced gluing treatments. This ensures that none of the protective components are displaced in the event of an impact. Are your boots fully waterproof? Nearly all motorcycle boots are water-resistant to some degree but unless they are specifically designed and sold as fully waterproofed then water ingress may occur sooner or later. Long distance riding in heavy rain is not only uncomfortable in wet feet but may result in foot movement and some control loss. Ankle boots and soft leather boots afford very little resistance from the rain unless they have waterproof lining. Even high-length fully enclosed boots may allow some water in. The only way to guarantee dry feet during prolonged riding in wet weather is to buy a pair of specifically designed waterproof boots. Casual boots with laces can still be specified waterproof but may lack overall protection compared to thicker styles. The Gold Standard of waterproof boots is the Gore-Tex design which allows for both dry feet and breathability. We will look at examples of these in our product reviews. 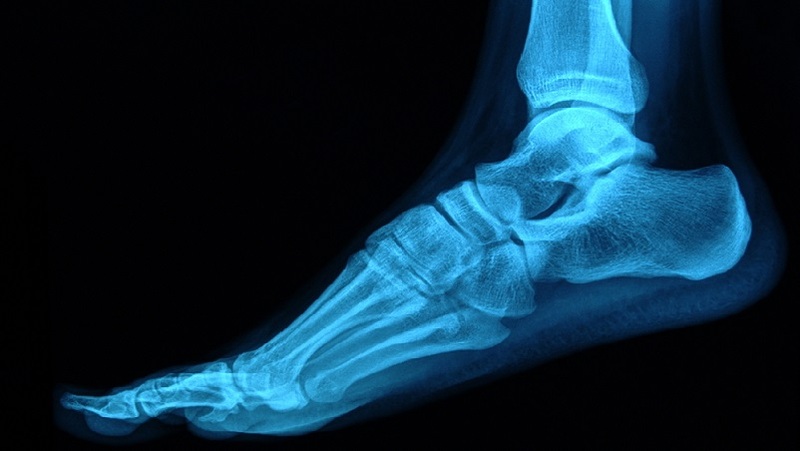 Like the hands and wrists, feet and ankles are a concentration of small and fragile bones. They must have at least some protection and even the most basic design of motorcycle boot is better than shoes or trainers. When choosing a boot pay particular attention for protection around the vulnerable areas such as toes, heel, ankle and bridge. Steel toe caps are very tough but if your foot bends at a steep enough angle during an impact they do have the potential to inflict damage (though rare). Perhaps a tough plastic is a better alternative. The toes are first in line for an impact so protection in this frontal position is vital to prevent crushing. The shin is not a complex area but this front-facing bone is also in the firing line. It benefits greatly from a full high-boot with additional shin padding. The ankle bone juts out and is most likely to be scraped along the ground during an accident. Find a boot incorporating ankle protection on both sides of your feet. The heel contains major tendons and small bones. Injury to the heel will likely require complex surgery and a long recovery. Protection can involve in-built padding or externally placed shock absorbing heel mounts. Toe sliders are normally found on the outside edge of the boot. They protect scuffing to the leather but also act as additional toe protection. Often they are removable and replaceable such is their regular exposure and contact to abrasive road surfaces. Kevlar is five times tougher than steel and is a popular material in motorcycle protective components along with tough plastic and thick leather. Aside from an impact injury riders run the risk of twisting their ankles. Good strong support minimizes the risk of rotating bones during an accident; the higher the boot the greater the shin protection. A good solid protection from the top of a boot to the bottom gives the rigidity of a ski-boot reducing movement of the leg as a whole. Quite simply… try them on, but use different types of socks and play around with the buckles and Velcro straps to gauge the level of play and movement. Tight boots restrict blood flow and you’ll get cramping or numbness; a distraction to your riding and concentration. Loose boots may lead to loss of control. You might slip from the pegs. All types of boots whether they’re short or high, casual or thick will come in many different styles and comfort levels. You can pay hundreds of pounds for a pair of boots or opt for something cheaper. See our product reviews below for some great examples. The kind of weather you’ll be riding in will be a major consideration for your choice of boot. 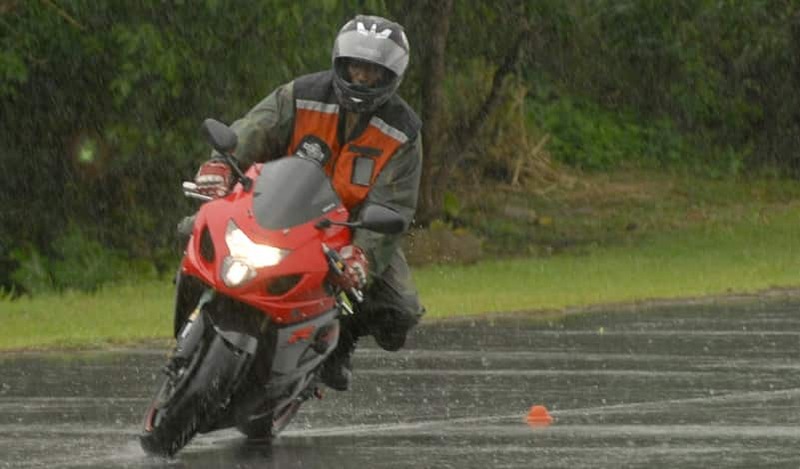 A rider needs to think about the impact of rain, ice, snow, mud, freezing wind and the summer heat. 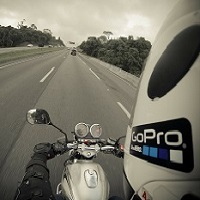 While protection should be uppermost, devote some attention to your regular riding conditions. Think about how long you’ll be on the bike during a typical journey or commute. Riders may feel tempted to choose a boot that’s easier for walking around in? If so then ask yourself if it’s wise to compromise weather and impact protection for convenience. Lets get into our favourite boots. The Alpinestars Web Goretex Motorcycle Boots may not be the most stylish-looking of our five models but sometimes less is more. No expense has been spared by this high-quality boot manufacturer. The all-leather boot is designed for maximum comfort during long distance riding. It is guaranteed to be waterproof with its Gore-Tex membrane offering improved breathability. RICHA Waterproof Slick Paddock boots are multi-layered and have the appearance of a tough mountain walking boot. With a padded ankle area and thick sole the boots are secured by laces and a Velcro strap for maximum flexibility. A classic and stylish-looking waterproof riding boot for both on and off the bike. This very fashionable footwear will be of particular interest to riders not wishing to carry spare walking shoes. They are deceivingly well-made to incorporate all the important protective components while still retaining the look of a stylish boot. Full grain vintage leather – they look good! When you buy a pair of Richa Zenith boots you get a lot of boot for your money. The padding and protection on these full height boots are obvious and plentiful. They are not full leather but a combination of leather and textile with tough rubber soles. Zip & Velcro fastenings for easier access. Just for riding. Not an ideal boot for walking around in unless you’re nursing a foot injury! An excellent high touring or race boot offering great overall protection with its CE approved armour. They are also fully waterproof and breathable. Boot manufacturers are addressing many issues beyond just style and protection. The matter of hygiene has also featured in many of our reviews along with attention to donning and removal of boots. Protection can be a trade-off. You may not always opt for the maximum protection possible but what is important is to establish a safe minimum for the type of riding you do.